With an array of global sites hiding behind the locked doors of geo-blocking, using a SmartDNS is the key to accessing that restricted content and essentially unblocking websites. Before delving into the world of SmartDNS use, however, it is beneficial to first educate yourself on what a SmartDNS really is, how it works and how to use it. To make it easier to understand, you can imagine a Domain Name Server, or DNS, as a phone book for the Internet that contains a list of all the domain names and, in turn, translates them to Internet Protocol, or IP, addresses. The reason for this is because computers essentially speak a different language than we do -- they access domains using the site's IP number to direct you to the corresponding website, while we can simply remember and type in a domain name, such as Facebook.com. While using a SmartDNS might seem like something only used by computer geniuses or tech whizzes, in the real world, SmartDNS is used by everyday people. The common use for SmartDNS is primarily for accessing region-restricted content from around the world. For example, many people use SmartDNS to expand their access to regional Netflix content -- they can be sitting in their home in London but connect to and watch Netflix from the United States. 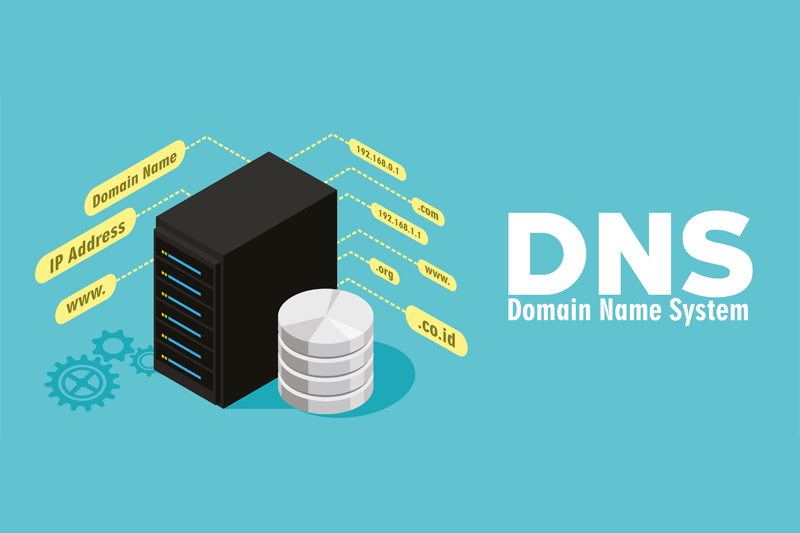 SmartDNS does this by taking the data associated with a user's geographical location and re-routing it through a computer server set up by the SmartDNS proxy server service provider. This server is located in the region that's permitted to access the region-blocked content that the user is trying to view, now giving the user access to content from a different part of the world all while he or she physically stays in one place. When you're ready to set up and use a SmartDNS, there's no need to install any third-party applications or software on your device. Simply change the DNS of your device to connect with a SmartDNS server located in the specific region of your choosing, sit back, and enjoy your now-unblocked content. To the unknowing individual, a SmartDNS and VPN may seem quite alike as they both perform similar unblocking duties, yet the two have very key differences. Depending on your needs for browsing online content, choosing one over the other could make a world of a difference to you. As with choosing any type of online service, it's extremely important to have a full understanding of what both SmartDNS and VPN provide and which is more suitable for your specific needs. If you are purely looking for a speedy connection to accessing unblocked content from all over the world, choosing a SmartDNS is your best bet. SmartDNS is faster, less expensive than a VPN, and is typically easier to configure as there is no software to set up. This service commonly appeals to Netflix lovers who want to access content outside of their region as SmartDNS is able to unlock all 21 Netflix regions. One of the biggest differences between using a SmartDNS and a VPN is security. SmartDNS is not a tool for privacy or anonymity as it does not change your IP; instead, it simply re-routes traffic required for determining your location by changing your DNS setting on your device or router, making it the ideal tool for accessing region-restricted content. By re-routing the data associated with your geographical location through a SmartDNS server located in the region that's being accessed, you are then permitted to view content from that region, and the lack of encryption gives you a super fast connection. If you're willing to sacrifice a speedy connection for security and anonymity while enjoying the same unblocking services a SmartDNS provides, a VPN is what you're looking for. 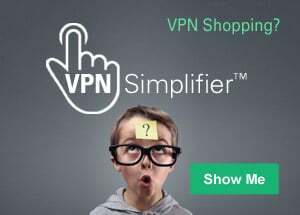 A VPN, or Virtual Private Network, offers an encrypted connection, adding a layer of privacy while allowing you to access unrestricted, worldwide content. Essentially, a VPN creates a tunnel that changes or hides your IP to make it appear as if you are accessing a website from another location. As for speed, the encryption provided by a VPN tends to make your connection a tad slower than a SmartDNS; however, as most people using VPNs are seeking security versus speed, this tradeoff is worthwhile. Primarily, VPNs are used for total security while browsing online, keeping you 100% anonymous. All traffic through a VPN is re-routed, and it can also be used for torrenting. Another common use for VPNs is seen in countries such as China and the UAE, where Internet usage is heavily firewalled. IPVanish, a tier-1 VPN network, offers secure connections to 25,000+ IPs on 180+ servers in 60+ countries, giving you the option of browsing from almost anywhere in the world. Their easy and free software makes setting up your VPN a simple, point and click process. IPVanish offers the highest connection speeds available when compared to other VPN networks. With plans starting as low as $10.00 a month, IPVanish provides 100% online security, protecting you from cyber threats and unsecured WiFi hotspots. Is SmartDNS Easy to Use? So you've signed up with a SmartDNS provider and you're itching to start accessing all that unblocked content that's waiting for you. Now what? The next step to getting started is configuring SmartDNS on the device or devices of your choice. But before you do that, you may be wondering if SmartDNS is easy to use and set up. The answer is yes -- quite easy, and choosing the best device or devices can make setting up SmartDNS even simpler. Many devices, like a computer, only take a minute to set up with SmartDNS. Essentially, within the settings on your computer, you add the new DNS addresses your SmartDNS provider has given you. Once they are applied, you then have the ability to access region-restricted content. Setting up and using SmartDNS is fast and simple, varying with certain devices like the ones we've listed. To get the best and easiest use out of your SmartDNS, it's always important do your research on which device is best for you. How Do Most People Use SmartDNS? The world seems to be getting smaller and smaller as the demand for content access that surpasses geographical limitations grows. In other words, people don't want their Internet use to be restricted because of where they're located. To grant online users that ability, SmartDNS plays an important part by acting as a key to unblock content from virtually anywhere. But what exactly do most people use SmartDNS for once they have this access? A very popular use for SmartDNS is with streaming services like Netflix. SmartDNS is able to unlock all 21 Netflix regions, making your content catalog essentially unlimited. Many times, you may have found yourself searching for a movie on Netflix only to find it wasn't available to stream. With SmartDNS, you can find which Netflix region currently does have the movie of your choice, simply switch your settings to that country using SmartDNS, and you'll instantly have access to the movie you've been looking for. Another common issue occurs to those who are traveling outside the country and are no longer able to access content from their normal region's Netflix. SmartDNS allows travelers to virtually stay at home with their favorite shows and movies while physically being anywhere in the world. Along with Netflix, the unblocking benefits of SmartDNS applies to other channels including Hulu, HBO Now, Sling TV, CBS All Access, and the WWE. Want to listen to your favorite music accounts while overseas, too? You can also access Spotify and Pandora from outside the United States while traveling. Another helpful use for SmartDNS is for watching sports games that have been blacked out from regular cable. If you're a Los Angeles Dodgers fan, you probably found yourself pretty disappointed when the team's games were blacked out due to the messy Time Warner Cable dispute over rights fees. With SmartDNS, however, you never have to miss a game -- stream all your favorite live sporting events from anywhere in the world by using a SmartDNS service. Why limit yourself? Using a SmartDNS service essentially takes your content options and multiplies them, giving you an all-access pass to entertainment and content from around the world. Why Not Use Free DNS Codes? It's safe to assume you've heard the expression, "Nothing is for free." It's also safe to assume that this expression tends to hold true time and time again, especially when it comes to important services like a DNS that can impact your online security. While browsing online, you may notice YouTube videos and blogs that offer free codes to use for unblocking content such as Netflix, Hulu and other streaming sites. While it may be tempting to try these free DNS codes out, using them is far from safe. Yes, the codes will provide you with unblocking abilities, but the problem is that you do not know what traffic is being re-routed; in other words, you can't trust the Smart DNS proxy service you're using. When you use a free DNS code, you put your privacy at risk as you don't know what information is gathered about you and what they do with it -- everything from your login information for your online accounts to even your bank account information is in danger of being stolen. An example of this type of security headache occoured with Playmo.tv and ViperDNS, when the two services faced hijacking incidents as a result of this very same issue. Besides security, relying on DNS codes to unblock content slows down your connection as a result of the DNS being overloaded, and also offers no stability as free codes stop working every few days, leaving you to find new ones over and over again. And since you're not using an actual service, you don't have the option of getting help from a support staff when you run into issues -- it's use completely at your own risk. So how can you access the benefits of a DNS without the worry of security and instability? The answer is simple -- spend the money and purchase a trusted DNS service. Most services are just a few dollars a month, giving you a much safer route to accessing restricted content from around the world. Nothing is truly for free, so take the extra step and set yourself up with a valid DNS provider to bring you trustworthy unblocking services. Why not use a free VPN app? Oftentimes when we see something offered for free, we feel a hunch that makes us ask, "What's the catch?" The offer may appear too good to be true, and unfortunately, that's usually the case. Many VPN apps are now being offered for free, making them appear tempting when similar services have a monthly or yearly price to use; however, these "free" services are proving to come at a high cost to users. What the issue of free VPN apps boils down to is one specific question: if the service is free, how is the VPN provider benefitting? It was this very question that shed light on a major issue with a popular free VPN provider, Hola; researchers discovered that Hola is an insecure network that had been selling users' bandwidth and opening up their devices, essentially making a profit at each user's expense. While they may be hard to turn down, free VPN apps put your privacy at a number of risks. They allow you to be tracked across the Internet, and traffic from random outsiders can be sent through your internet connection. It's also possible that your internet access could be sold to third parties with no regulation on how it's used, and virtually anyone can execute programs on your computer. The high amount of traffic going through these services will also slow down your connection. To avoid these issues and ditch the security headaches, the best solution is to pay for a trusted VPN provider and give yourself 100% anonymity and security. Paying for a valid service will give you reliable access to unblocked content all while maintaining your privacy. Rated as our Best SmartDNS + VPN option, OverPlay allows subscribers to have the best of both worlds by combining SmartDNS and VPN into one dynamic package. Get fast, unblocked access to region-restricted content from virtually anywhere in the world, all while maintaining 100% anonymity and security with an encrypted connection. OverPlay's high-speed network allows customers to watch content without interruption or fear of throttling or buffering by their ISPs. Their easy setup for using SmartDNS + VPN works on multiple devices -- you can configure their VPN software on your computer or mobile devices using their easy-to-use setup guides. OverPlay has proven to be the easiest SmartDNS + VPN service to use when compared to competitors, specifically seen with their easy-to-use features like the new JetSwitch. With this revolutionary new tool from Overplay, you now have even more control over your virtual location. The JetSwitch feature allows you to bypass geo-blocking and access content from different regions at the same time -- no need to have to switch back and forth between countries while you browse online. This tool gives subscribers customized command of OverPlay's SmartDNS settings. Overplay has 48 servers located all over the world to make sure that maximum connection speeds can be achieved. Not only does this feature benefit and increase speed, but you will also have the ability to change the country you virtually reside in, expanding your access to worldwide content quickly and simply. With OverPlay's diverse list of servers around the world, users can gain access to the global sites they want using a fast and safe connection. Plans start as low as $4.95 a month. Unotelly is a SmartDNS and SmartDNS + VPN provider that unlocks content from international sites, hosting 200+ online channels for subscribers to have access to. Overall, Unotelly lacks in their speed, quality of service, and has quite a bit of vagueness in their technological and policy realms. The quality of Unotelly's service can be described as just okay, and that's just when it works -- the provider has proven to commonly be prone to outages with server update issues. Many users complain about the speed of the service as well, noting that is runs more slowly than its competitors -- speeds were reported to rarely reach higher than 5Mbps and sometimes steep as low as 1Mbps. The company collects quite a bit too much personal data from subscribers during billing, proving to be a trust issue for many. Additionally, Unotelly appears ambiguous and vague when it comes to providing information clearly. For example, while new users do have the option of getting a free trial of UnoVPN, they don't actually get automatic access to this — they first have to follow a link which leads them to have to add a "UnoVPN 3-day trial" item to their shopping cart, and then select a payment method. Also, their site comes across as rather dubious when describing their policy on torrenting as well as their Terms of Service. Another issue with Unotelly is with their support system, which operates separately from the main website. This feature proves to be an inconvenience -- current account holders who want to open a ticket with support must re-enter their email address because of this, even if they're clicking through from the main dashboard area. Launched back in 2013, this newer SmartDNS service unblocks over 200 popular streaming services from around the world. Unlocator delivers average-quality service at best but could be better, and its biggest flaw is with its customer support. In terms of speed, many users found Unlocator's SmartDNS to cause websites to load too slowly. In regards to their customer support and reachout, Unlocator features something that throws many of its users off: they do not provide a phone number for you to use or any type of live chat for you to turn to for instant response. Their primary system of customer service is ticket-based, possibly due to the company being so new and small, and they rely heavily on their FAQ page for customers to turn to when in need of help. This lack of instantaneous help tends to make Unlocator come off as distant from its customers and non user-friendly. When compared to its competitors, Unlocator comes out overall as being only average in terms of their service quality with its somewhat slow speed, and significantly lacking in the area of customer support and user-friendliness. Their plans start at $4.95 a month, and they also offer a free 7-day trial to try out their service.